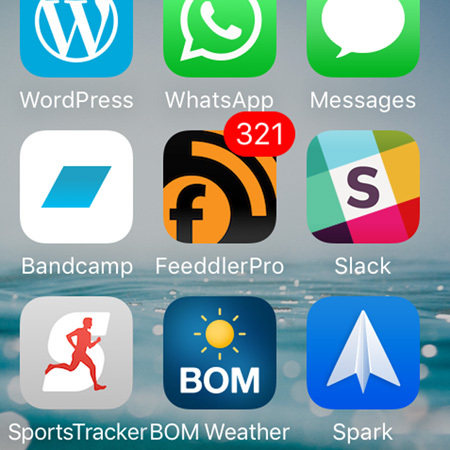 After 5 days of the no internet after work project I had 321 unread blog posts in my reader. I’ve been trying to squeeze blog reading in before leaving for work (amongst a billion other things), but clearly it got a little away from me! Of course, I have been reading YOUR blog every day (or whenever you post), dear reader. 1. I read a lot of blogs I could probably do without. 2. I spend a lot of time reading blogs I could probably do without when I could be doing Other Things (currently those other things are mostly knitting and watching television). 3. I’m trying to cram way too much into my mornings. I just realised I’d made this project no internet in the evenings for a month, when I’d assumed it was no internet in the evenings AFTER WORK for a month. Oops. ** 5min run | 2min walk intervals – first time ever trying run-walk. Haven’t run that far in about a year. Humidity was so high it fel like running through soup. Killed me. Ankle still not happy about it. Improved mood tremendously. Worth it.